Malpass previously served as Under Secretary of the Treasury for International Affairs for the U.S.
As Under Secretary, Malpass represented the United States in international settings, including the G-7 and G-20 Deputy Finance Ministerial, World Bank-IMF Spring and Annual Meetings of the World Bank. He also played a role in several major World Bank Group reforms and initiatives. 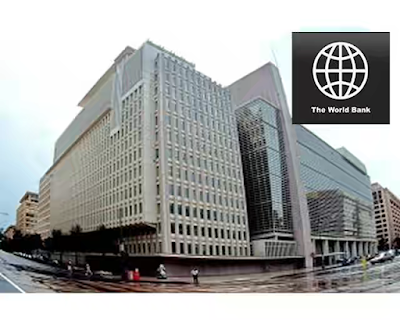 He was also instrumental in advancing the Debt Transparency Initiative, adopted by the World Bank and IMF, to increase public disclosure of debt and thereby reducing the frequency and severity of debt crises. In these roles, he focused on an array of economic, budget, and foreign policy issues, such as the U.S involvement in multilateral institutions, including the World Bank. Malpass had served on the boards of the Council of the Americas, Economic Club of New York, and the National Committee on U.S–China Relations. He earned his bachelor’s degree from Colorado College and his MBA from the University of Denver. He undertook advanced graduate work in international economics at the School of Foreign Service at Georgetown University. God help me, coz ns ds kind job opportunities is my target, if not now later. I need to take this my B.Sc Economics further. Planning to enrol in London School of Economics and take it from there. God help me. Economics is a very hard course as it involves micro and macro Economics with statistics join. But in all i am proud to be an Economist. Is it true he is a friend of Donald Trump? In that case the world should get set... All of Trump's friends are people of questionable character.